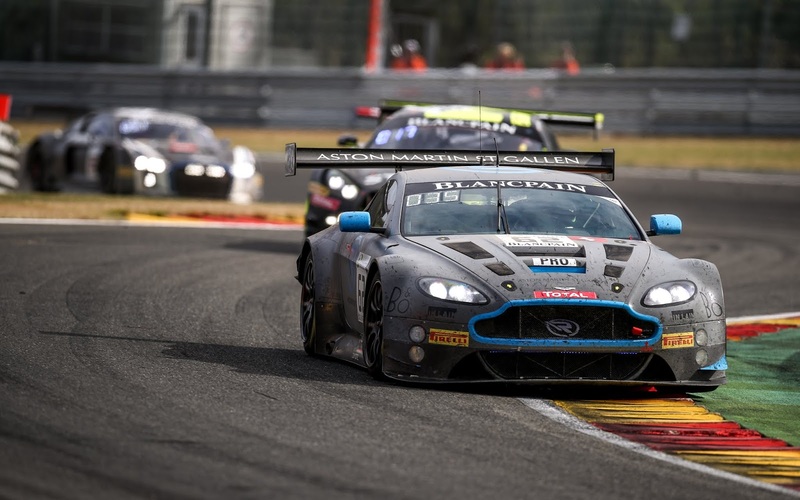 The 2018 Blancpain GT Series has certainly been a difficult one for the three Aston Martin Racing V12 Vantage GT3 cars entered into both its Pro and Silver Cup classes. This weekend, we see the final race of the six round season come to an end with sadly just team and personal honour at stake with all three cars already out of any headline championship titles. Swiss based R-Motorsport's first venture into top flight European GT3 racing with their new Arden Motorsport technical partners has certainly ventured them onto steep learning curve which they have sometimes excelled at to the point of winning the Silverstone round back in May and then claiming overall pole position for the Spa 24 later in July. 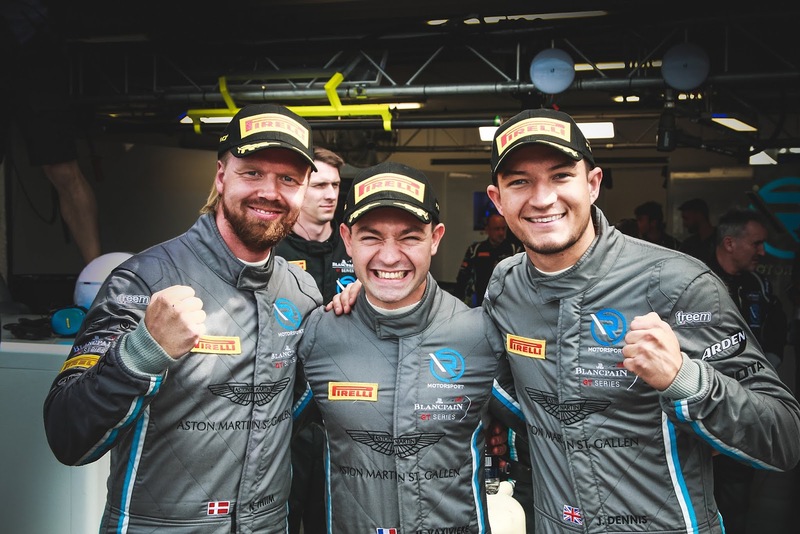 That successes has unfortunately also been blighted with both bad luck an misfortune that sees them presently placed unjustly lower in the championship table than they perhaps ought to have been considering the abilities of their six drivers. The team's #76 and #62 cars will see out the season with their usual three driver line up each as will the TF Sport prepared Oman Racing crew who themselves will round off their first venture into the new for 2018 Silver Cup class after previous years success in Pro-Am. 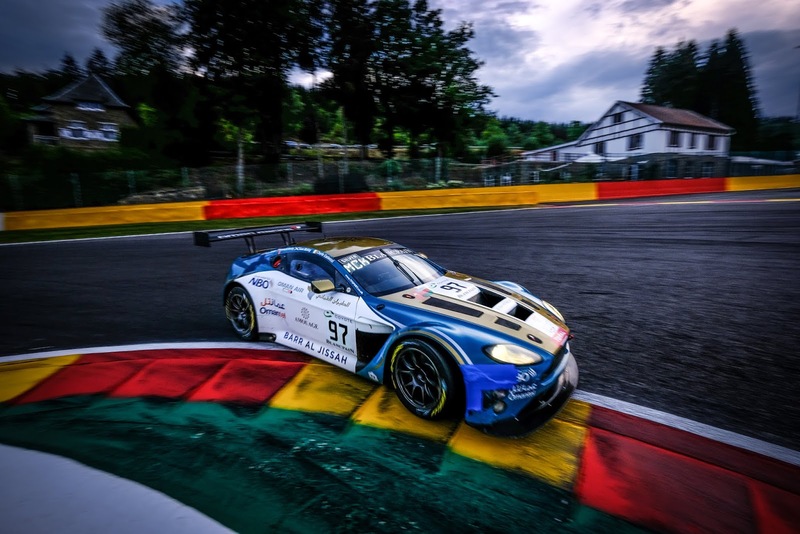 Again, it wouldn't be exaggerating any fact that the #97 has been incredibly unlucky this season with at least two decent race results destroyed by the errant ways of others with the teams blue, white and gold Vantage sustaining race ending damage in the process. Their exploits into the Spa 24 sadly typified that position with an early exit due to accident damage. Like R-Motorsport, Oman Racing find themselves over hundred points behind their respective class leaders so Barcelona will just have to be one for what they can each get out of it as both teams run their V12 Vantage GT3 one last time before all three chassis are expected to be replaced with the new turbo based car ready for the 2019 season.